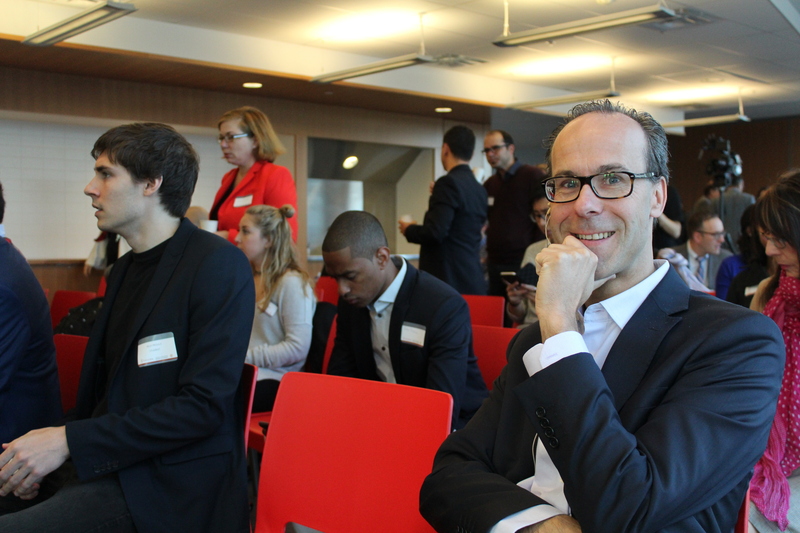 Concordia’s Luc Beauregard Centre of Excellence in Communications Research organized an event on social media’s role in business innovation on Oct. 4. Professors, students and businesspeople attended the morning conference to listen to Frank T. Piller, associate dean, professor and chair of Technology & Innovation Management at RWTH Aachen University’s school of business and economics in Germany. The event, hosted by Concordia’s John Molson School of Business, explored social media as a useful tool to improve the ways companies and individuals innovate. Piller said that many of “the ideas that we get nowadays come from social media, and this leads to a better discipline for the communications profession.” He explained many big companies are now using innovative strategies to incite consumers to buy their products. Piller used the drugstore brand Nivea as an example, to explain why their deodorant is successful. “If you were the product manager of Nivea and wanted to innovate your business, what would you do?” Piller asked. He said he would advise product managers to visit online forums where people discuss, for example, deodorants and their unwanted effects—such as a yellow stain on a white fabric. “Agencies then dive-in, and look into these user communities to fix the problem by creating better products,” said Piller. “When it comes to innovations, it’s all about functionality.” Companies also consider how factors such as the product’s shape or organic ingredients might excite users into buying the product, he said. Piller added that, as a result, Nivea is one of the cheapest, most successful and popular brands in drugstores around the world, especially in Europe. Innovation often starts on the periphery of the organization, he said. When companies are creating or improving a product, they look beyond product management—they look at online forums, for example. According to recent studies conducted by the Social Media Examiner, there has been a slight increase in forum participation in recent years. Piller said that frustrated customers often provide useful critiques or reviews about products in online forums. Companies just have to visit these websites and take the comments seriously, in order to find ways to improve their product and the consumer’s experience. According to Piller, there are two main ways to innovate: with the help of frustrated users or dedicated firm activity. He said there are three ways to profit from lead user inventions. The online Business Dictionary defines a lead user as a “specific type of user of a product or service that is on the leading edge of significant market trends.” Therefore, a lead user reflects and finds a way to make something better, before the mainstream has found that way. They are able to think about how that product or service can work better to reach its full potential. The first way to profit from a lead user is to search for lead user inventions either online or through contacts. The second way is to observe users in online communities such as Facebook and Twitter, which is also known as “netnography.” The third way is to provide infrastructure for users to co-create. Co-creating involves developing collaborative skills, learning to engage, selecting the right participants and using creative problem-solving techniques. “Our emphasis is to absorb the innovation that is out there in the market,” Piller said. Piller said innovation revolves around customer co-creation and creating an interaction space for lead users, product managers and companies— where they can engage, use creative problem-solving techniques and give feedback. He said that the ultimate goal is to have a more balanced approach when it comes to innovation—since there is not just one social media platform.